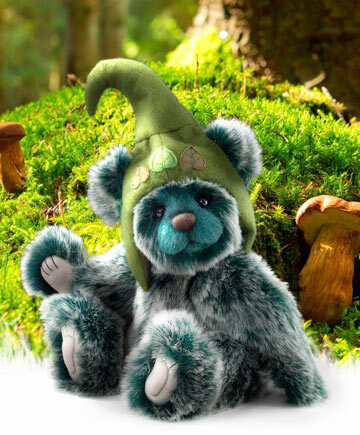 Toadstool is the sixth and final bear in the first mini-series of Charlie Bears' Hatty collection. 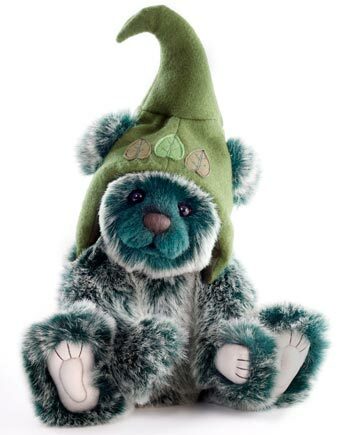 A very special bear to Charlie as the theme for the 2019 collection has been created around this little one since Charlie was so drawn to him. Charlie said when looking at him he whisked her away into far away magical places, which inspired a whole host of new ideas and characters. Charlie kept him her secret and postponed his release until she had finished designing this year's collection. Toadstool is a gorgeous bear, approximately 13 inches tall. He is five-way jointed and hand-made from the softest plush in forest greens and misty morning white hues with subtle white tipping. Toadstool's face comes together with a hand-stitched nose, subtle airbrushing and glass eyes. 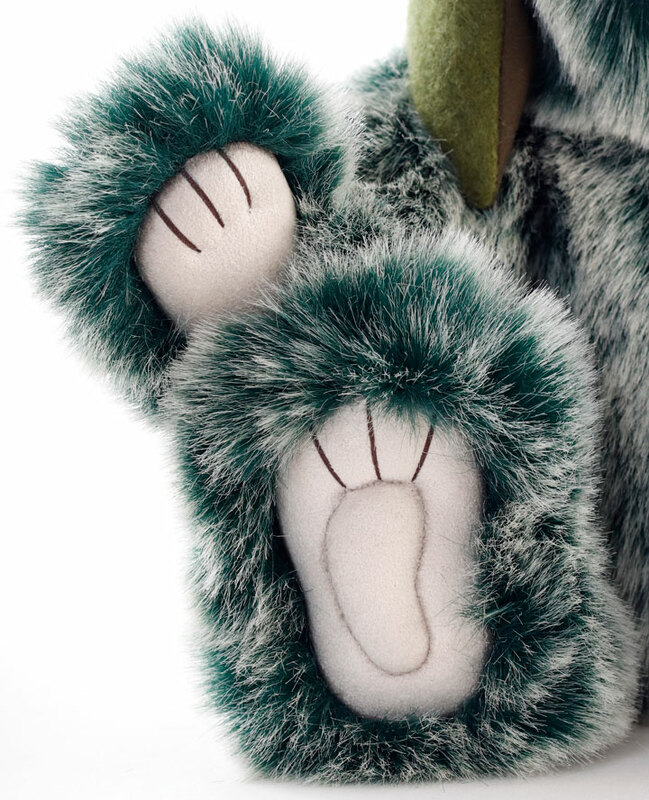 He has ultrasuede 'tickly toe' paw pads with embroidery, sculpting and airbrushed details. 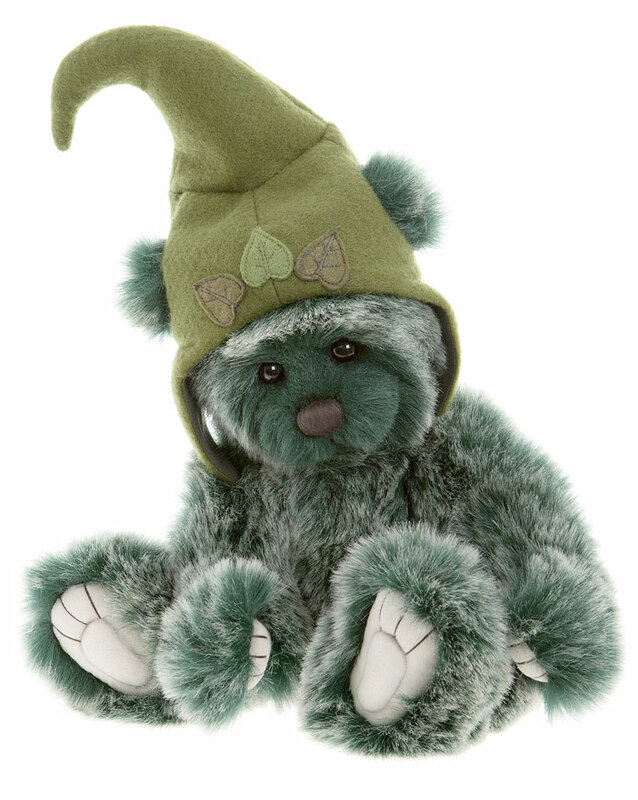 Atop his head, he wears a charming green hat which adds about 4 inches of height. 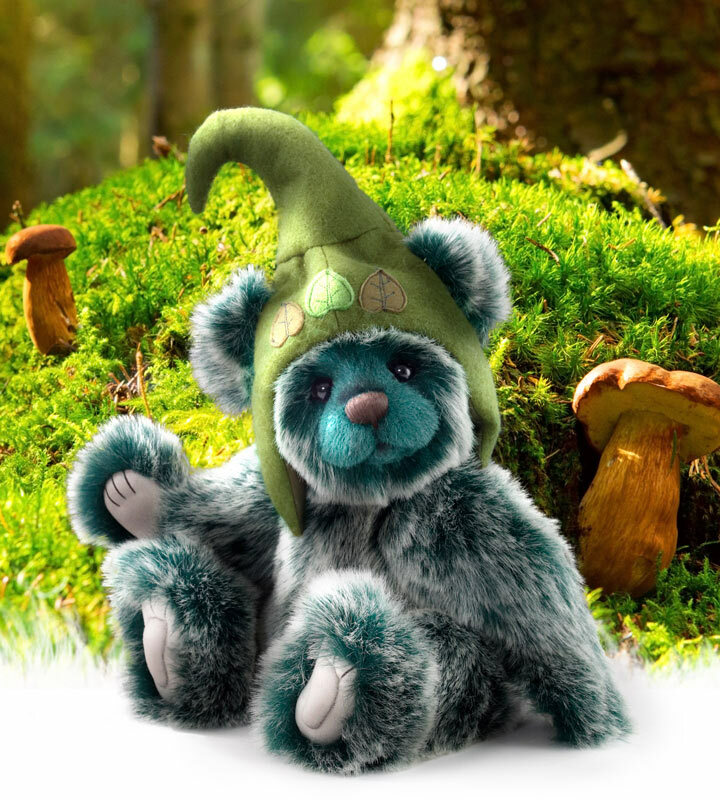 His darling pixie style hat is sewn from soft felt in a beautiful leafy green hue and features a leaf design. Toadstool's hat even has holes for his ears to peek out. 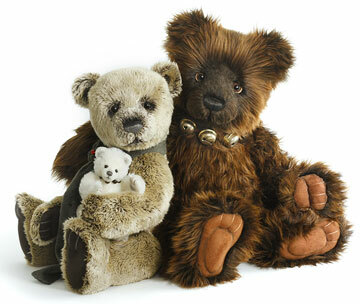 A very charming bear to add to your collection. 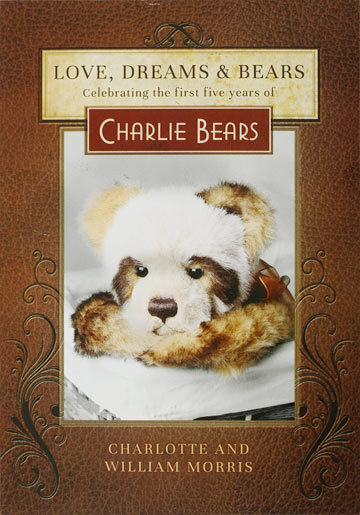 Toadstool Bear CB195166 is part of the 2019 FOLKLORES & FABLES: Charlie Bears Collection. Limited to only 3000 pieces worldwide. Suitable for ages 3 years and up.